In this 25th episode, Rosie and I talk about Hazel, Oscar Pistorius, our Oscar picks, Monopoly tokens and I tell my Alpha Getti Gobbler story. This episode is exactly 32:57. Where's the link to your Alphagetti Youtube Clip? "If anyone wants to watch this instead of just listening, pause the 'cast and check out the link on this episode's entry on Toronto Mike... we'll wait." 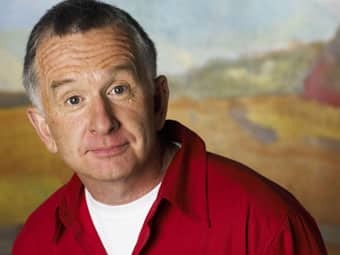 Was the comedian Ron James? That's the only east-coastish mildly popular comedian I can think of who fits your bill. I don't believe 1010 has a woman host during the week. Of course there is John Moore who is almost like a woman. And yes, it was Ron James. I had a couple of brain farts in this episode... I called Android "Chrome" twice! Sweet & short - no! I want, we want an hour atleast. Hopefully next show will be longer. Good luck and have fun while in Germany Mike. This year's Oscars looks more interesting than in the past few. Sounds great... I prefer the 30 minute episodes to the 60 minutes. It's too hard for me to find 60 minutes to focus! I agree with most of what you said, Mike.. especially that Ron James is not funny. Ron James is Not Funny! CBC tries so hard to promote any comedic hack from the east cost via their taxpayer funded unfunny shows (i.e. This Hour has.., Rick Mercer and this James buddy). Argie this is true no women hosts on 1010. On the way back from the doc I just heard Kelly C. filling in for Jim Richards (she actually was talking about how devastating it was when she was let go from her show there awhile back) but Kelly just fills in, just doesn't have a regular slot anymore I don't think. I'll be here all weak. CBC was probably considering adding this show to their schedule until you slagged one of their programs. You might still have a shot on Radio 2, tho. But still a great episode. Good enough for CBC Radio One. I will get it on my Ipod as soon as I figure out the newer Itunes version 11 interface. Accidently hit update and what a mistake. Over 50's like me can't stand this sort of change, the old version 10 had a database feel, could drag a drop very easily. Thus is too GUI for me. Getting old and cranky I guess. Maybe compromise and do 45 minutes, as 1 hour is just that extra length that plays havoc with my time management, with H&F etc. I actually quit the humble and Fred podcast this week because it has become one infomercial after another. I like this podcast because it still feels real. Pls don't sell out! And I really liked the H+F podcast but its all muse spa and the wine guys and I understand they needed to commercialize but they went waaay too far IMHO. I can't go mainly because I feel bad for the participants of this freak show parade. Most have deep psychological issues which causes them to behave the way they do and the clueless clones who go down to watch are only contributing to these freaks' issues. Mike, listened to this Podcast, and glad someone has publicly said they don't get the Vinyl Cafe story telling. No doubt he is a great guy and broadcaster, but I think I would sooner have my back waxed than listen to a story on Dave and Morley. When i travel to the East Coast, and I run out of Podcasts, I feel like a prisoner to the CBC on their content. Newfoundland it's the crab report, Vinyl Cafe in N.S. Arghhhh. Have to agree with Argie's analysis of the CBC content selection. First time listener, first time commenter. Really enjoying the chatter from TO and general CanCon. What a great podcast! Finally, someone said it: Stuart McLean is somewhat annoying. It's true. I tend to like the stories well enough, but I have to ignore the delivery which is very affected and strange. What accent is he going for exactly? And also (OK, I'm dating myself) back in the '80's I listened to a set of Lake Wobegone stories by Garrison Keillor on cassette tapes. I've only heard that much Keillor, but it was enough for me to realize back when Vinyl Cafe launched that (a) it is a rip-off of A Prairie Home Companion, Keillor's show, and (b) Stuart is more annoying than Keillor. Maybe that's not news to anyone, but it's bugged me from the beginning that VC is not in the least bit original. Anyway, it's a Canadian institution now and arguably I should get over it. Also, go CBC! I do love CBC Radio. Will keep listening. Keep up the great work.